Santa Clara, California – February 15th, 2011 – Le Sensor, Corp., a Silicon Valley based startup, has partnered up with Sensors Web Portal, Inc., a primary Internet resource for sensors related information, to market their Sensor and Electrical Toolkit Smartphone Application. Both companies will collaborate on assisting sensor manufacturers in advertising their products on mobile platforms, to highly qualified audiences in the sensor ecosystem. Both companies also affirmed their desire to continue to search for more ways to collaborate in order to create the best mobile solution for the sensor industry. The growth and popularity of Smartphone usage is a well-known fact with a fast growing user base utilizing these devices for an increasing share of their computing needs. However, what has been lacking is an effective method for sensor companies to deliver targeted advertising campaigns on the medium. Mobile ad exchanges such as AdMob and iAd’s do not provide a viable solution for sensor companies, since the target demographic on these platforms is often ill defined. Through its app, Sensor and Electrical Toolkit, Le Sensor has already established a focused and global user base; over 80,000 users including engineers and decision makers, are currently using Sensor & Electrical Toolkit to solve complex sensor related equations and creating real time discussions. “We believe that there is a lot of synergy between Le Sensor, creators of the most downloaded app for the sensor industry, and Sensors Portal, as a premium online sensor knowledgebase. We are excited to collaborate together to provide sensor companies a great marketing and outreach platform on the most popular mobile solution for the sensor industry,” said Ahsan Rizvi, Marketing Director of Le Sensor Corp.
"This industry first, cost-effective mobile, self-serve advertising ads network will carry sensors related products and brands directly to customers, offering to advertisers sophisticated targeting capabilities with low-cost customer acquisition," added Sergey Y. Yurish, president of Sensors Web Portal, Inc.
Sensor and Electrical Toolkit, is the industry’s first mobile application which equips decision makers and engineers with unparalleled benefits on the tip of their fingers. 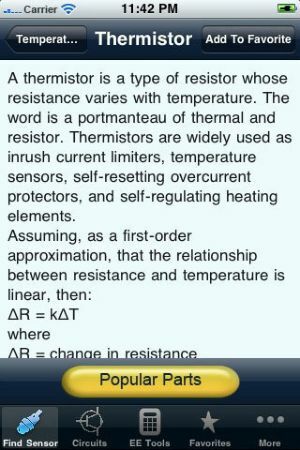 The app consists of three major components: Find Sensor, a unique advertising platform for sensor manufacturers, enabling them to market their products to its user base; Calculators, enabling users to solve complex mathematical formulations; and Discuss, a social networking tool for those interested in striking conversations about the world of sensors. With over 80,000 users, Sensor and Electrical Toolkit has trailblazed its way as the predominant mobile solution for the sensor ecosystem. Through its unique advertising model, Le Sensor hopes to connect sensor manufacturers and distributors with their end customers, through a targeted ad delivery program. 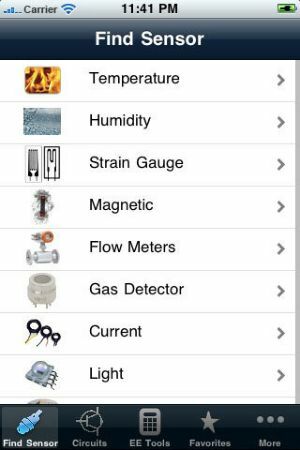 Le Sensor is also committed to providing the best mobile solution for the Sensor and Electrical Industry with more integrated content, increased number of tools, Android and iPad versions currently in development. 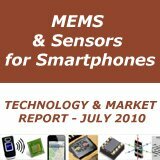 About Sensors Web Portal, Inc. Sensors Web Portal, Inc. is a primary, vertical, award-winner Internet resource for sensors related information. 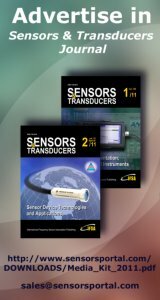 Since 1999 Sensors Web Portal is operating to assisting sensor manufacturers in advertising their products by the most effective way online at sensors web portal and its media: Sensors & Transducers magazine, journal, IFSA Newsletter and IFSA Internet-based Television Network. Because this resource is a vertical, specialized Internet portal, all of our visitors are from the mentioned industrial sector and ads on sensors web portal is very targeted Advertisements reach those with the greatest probability of becoming buyers at the very time they are in a purchasing mode. Marketing Director, Le Sensor, Corp.
for the Sensor Industry' video (2:04).